Yesterday morning we had the television on at home, whilst we were pottering around the kitchen, and a segment came up that grabbed my attention. The topic was on a proposal being submitted to the government, promoting a new star-based nutrional labelling system for food. The idea behind the new proposal, was that a star-based system would enable consumers to make healthier choices, as a plan to combat rising obesity rates. There are many problems with this proposal, and for me, the first one is that putting a star-based system on food labels, is still doing nothing to educate people about the mult-faceted issues that contribute to obesity. Obesity can have a lot to do with poor food choices – yes – however obesity is not just a one-faceted problem solved only by eating healthier food. There are issues that may be linked to underlying metabolic imbalances that need healing, such as thyroid and fatigue disorders, insulin resistance and other hormonal problems; there will normally be some level of emotional wounds that need addressing, along with rebuilding self-esteem and self-worth. Food is one aspect, but it is not the whole picture. 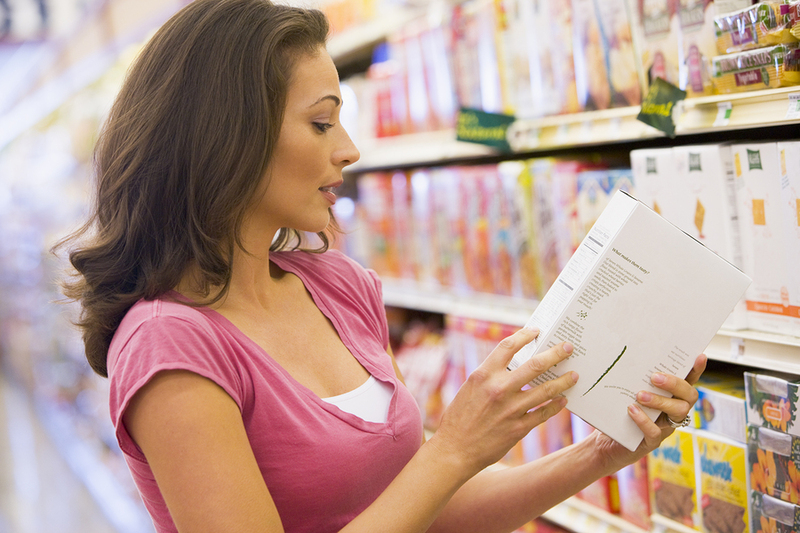 Teaching people to buy foods with more “stars” does very little to educate them about their health, or even about the health properties of the foods they are eating. This proposal is for foods that need labels – that in itself is a huge part of the problem – the foods that are going to help in combatting obesity, need no labels. 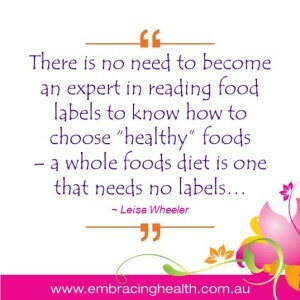 There is no need for a label on whole foods such as fruits, vegetables, nuts, seeds, greens and legumes. Another problem is the issue with how foods are determined to be “healthy” or not, and how the star-rating is devised. Like the Heart Foundation Tick, the system is open for corruption. Any food company with enough money can buy the Heart Foundation Tick, and unwary consumers are more inclined to choose the “healthier” option, by picking up the product that is approved by a seemingly authoratative body on health. With a star-based rating system, the same type of corruption is likely to occur. Not only will we have vested interests from industry determining what foods are deemed “healthy” and deserving of five stars, we will likely have a situation where companies can ensure their products get a five-star rating through their “contributions” or some other way of buying a rating. This will serve to confuse consumers even more, with no real way of determining the genuine value of the food being labelled. In an example given on the television show, a processed light cream cheese was given a five-star rating, whereas an apple was given three-and-a-half. The quality of the labelling system will come down to the knowledge and quality of the people determining the rating, and the influence that industry will have over this process. If it was me, pretty much anything in a packet, tin, or jar on the supermarket shelf would have a zero rating, and everything in the fresh food section a four and if it was organic, then a five. Anything other than that, flies in the face of everything we know about the healing properties and qualities of food. This is where we need to be educating people on the benefits of real, whole, living foods, as found in nature, and not teaching people about irrelevant star-based rating systems to guide how they should eat. What do you think? Is a star-based rating system for food going to be of benefit to anyone? 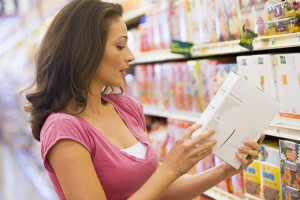 Or is it just another way for industry to market their processed food products? That is just crap. It’s another way for THE MAN to make money from brands and the unwise consumer. Utter rubbish. Thank you, Leisa, you’re such an inspiration.